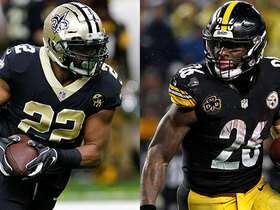 Analysis: Matt Schneidman of The San Jose Mercury News reports the Raiders are still alive in the bidding, while Ian Rapoport of NFL Network suggests the Ravens have emerged as the favorites to sign Mark Ingram. 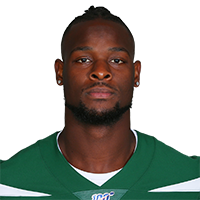 The Jets presumably intend to revoke their contract offer and shift the focus to other running backs if Bell doesn't make a decision before the unspecified deadline. Bell could receive a transition tag from the Steelers during the offseason, Jason La Canfora of CBS Sports reports. Bell (contract dispute) won't report to the Steelers by Tuesday's 4 p.m. EST deadline, making him ineligible for the rest of the 2018 season, Adam Schefter of ESPN reports. Bell (contract dispute) isn't expected to report to the Steelers by Tuesday's deadline, which would make him ineligible to return this season, Adam Schefter of ESPN reports. Owner Art Rooney II told SiriusXM NFL Radio that he believes Bell (contract dispute) will report to the Steelers by next Tuesday's deadline to sign the franchise tender. "I don't know what his plans are, but I would say at this point we expect him to come back next week," Rooney said of Bell on Thursday. "We know he's back in Pittsburgh and so we're hoping to have some communications with him over the weekend and we're kind of expecting he will be back next week." Though Bell is eligible to receive a franchise tag for the third straight year in 2019, he would be tagged at the quarterback salary number, which is projected for approximately $25 million, Tom Pelissero of NFL.com reports. Bell was spotted playing basketball Wednesday at a gym in Pittsburgh, Jeremy Fowler of ESPN.com reports. 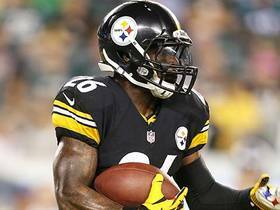 Analysis: Bell announced his departure from Miami via social media Monday, leading to speculation he was headed back to Pittsburgh to rejoin the Steelers. He reportedly hasn't been in contact with the team, but his presence in the surrounding area seemingly hints at an intention to sign his franchise tender before the Nov. 11 deadline. As for Week 10, James Conner is primed for another huge workload Thursday against the Panthers, with Bell potentially joining the team at some point shortly thereafter. Though Bell -- who has been working out in Miami of late -- tweeted "Farewell Miami" earlier Monday, the Steelers still haven't heard from the running back, Adam Schefter of ESPN reports. 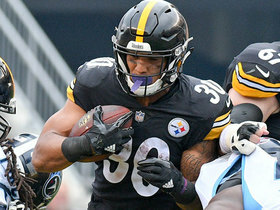 Analysis: Meanwhile, the team is preparing for Thursday night's game against the Panthers, and with Bell still not in the fold, James Conner is in line to head the team's backfield once again Week 10. Beyond that, Bell is subject to a deadline of Nov. 13 to report to the Steelers in order to play this season. Week 11 is thus a pivotal juncture in terms of Bell's status, and concrete news pertaining to that could arrive any day now. 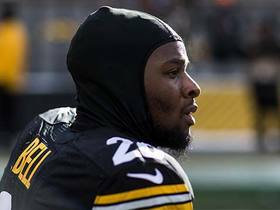 Bell isn't expected to report to the Steelers before Thursday's game against the Panthers, Jeremy Fowler of ESPN.com reports. 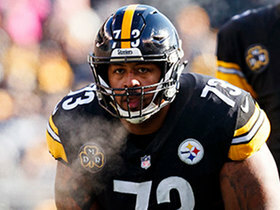 Bell (contract dispute) has yet to provide the Steelers with a definitive timeline for his return to the team, Jason La Canfora of CBS Sports reports. NFL Network's Reggie Bush shares his thoughts on how much the Pittsburgh Steelers should limit running back Le'Veon Bell in week one if he plays. The "NFL GameDay Morning" crew discusses Pittsburgh Steelers running back Le'Veon Bell contract situation. The "Good Morning Football" crew discusses how the absence of Pittsburgh Steelers running back Le'Veon Bell will impact the team. 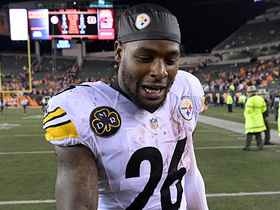 NFL Network's Aditi Kinkhabwala discusses how the Pittsburgh Steelers are dealing with the absence of running back Le'Veon Bell. 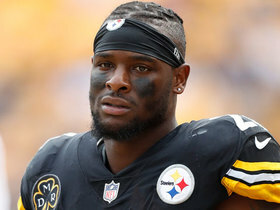 NFL Network's Aditi Kinkhabwala reports on Le'Veon Bell that 'there is no endgame here' besides him protecting his body for a new team. NFL Network's Aditi Kinkhabwala reports on how the Pittsburgh Steelers will fill in the running back role by James Connor in Week 1. 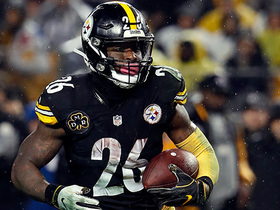 NFL Senior Fantasy Analyst Michael Fabiano discusses where Pittsburgh Steelers running back Le'Veon Bell is going in fantasy drafts and where you should select his backup, James Conner. NFL Network's Ian Rapoport explains why Pittsburgh Steelers running back Le'Veon Bell most likely won't be traded. NFL Network's James Jones explains why he believes the Pittsburgh Steelers' linemen should take Le'Veon Bell's side and make sure Bell gets paid.